Does international soccer need a shake up? 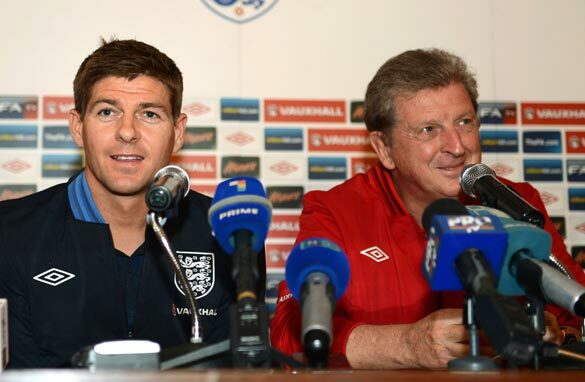 International coaches like England's Roy Hodgson (right) get just a few days with stars like Steven Gerrard (left). Let’s face it. After an exciting weekend of league football around Europe with Clasicos and derbies aplenty, the last thing we wanted was an international break. It’s the second time this season the momentum of some of the world’s top club competitions has been snapped by qualifiers for the 2014 FIFA World Cup. As important as national team football is, and I am a big fan of it, I think the time has come for FIFA to restructure its international calendar to benefit clubs, countries and fans alike. As far as clubs are concerned, we have all heard their complaints time and again. They lose players for several days, see them travel hundreds or even thousands of miles around the world, and have to worry about whether they will return with serious injuries. It is a far from ideal situation, especially when you consider it is the clubs who pay the players’ salaries. National associations are also far from happy with the current state of affairs. Having spoken to various national team managers about international breaks, I can tell you they have a big problem with them too. Coaches only get players two or three days before a game, they have no time to work on tactics or team spirit, and then see them leave without a proper chance for a debrief or to learn from mistakes. Last but not least, the fans need to be taken into consideration. They are becoming tired of the constant back and forth between club and national team football. As mentioned earlier, the momentum is broken, so is the excitement and overall interest in club and national team competitions. So if there is a problem, what can be done to fix it? Well, how about restructuring the international calendar with FIFA creating two windows per year for national teams to play? My proposal would involve setting aside one month in the winter for teams to play friendly matches, and another month in the summer for qualifiers to be played. Just imagine this scenario. Most of the world’s top leagues normally start their seasons in August. If international breaks are removed, automatically four or five weeks during the regular season are gained, meaning club competitions would finish a lot earlier. Let’s say, for argument’s sake, most of them would end in April. At that point in time, the international players would join their national teams and prepare to play four or five qualifying matches over four to six weeks before breaking for the summer. In a two-year cycle, they would still have time to play the 10 to 12 scheduled qualifying matches. As far as the winter international break is concerned, it would last about a month and would focus on friendlies. Considering most leagues take a two-to-three week break in December anyway, why not allow national teams to take over? National teams would be allowed to play exhibition matches over that period to test tactics and experiment with players. Everyone would win in this scenario. Clubs wouldn’t lose players during the bulk of the domestic season, while national team managers would have more time with their players. Fans would also benefit from being able to focus on league and international football at different times. If you are thinking this would be harmful to countries whose leagues run at different times, my argument is that the current schedule is already unfair to them. Many times clubs in South and North America have to play league and cup games without their international stars. So that is my idea. Your first reaction may be negative, but look at it with an open mind. The problem with football is that we have too many conservative people with too many traditional ideas calling the shots. Don’t think like one of them. Makes complete sense ... I hope Sepp is reading this! Sounds like a reasonable idea. I would have concerns about the players. As it is they do not have much down time in a year, and in what you suggest it would seem the best players would not have any down time, which ultimately impacts their level of play and personal lives. I am trying to look into it with an 'open mind' as you put it. However, the 'conservatives' holding onto the sometimes outdated rules and regulations make the game 'The Beautiful Game'! Do not forget that. Your idea sounds good on the face of it. How would we gain 4-5 weeks when international breaks are few and far in between. As far as I can tell, they occur usually in September and October. That is precisely the time when players get into their rhythm of playing. In December (Christmas/New Year break) they are more focused on the break than playing. And obviously, in June they want to rather go on vacation then think of football. Players chosen by their national managers/coaches are select few representing their countries with an extraordinary skill level unmatched by their peers and they become extremely exhausted by the calender/schedule they have to endure (top level players play about 50 or more games in a season). Remember, they are young people immersed in nothing but football. I believe additional month of play would not be conducive to football. Sounds like a good idea, Pedro, I hope FIFA listens. Another idea would be to hold the qualifiers in a one-month tournament, each to take place in one country the first year and another country the second year. The countries willing to host the tournaments would have to compete for the right, just as it is done when deciding the World Cup host country and they would have to be located in the same region as the participants. It is the best idea ever presented. Fantastic way of thinking. I also liked your final sentence "we have too many conservative people with too many traditional ideas calling the shots"
You are the best sport anchor. I agree with your proposal. It seems very simple offhand, but when you take into consideration the various national federations and clubs around the world (not just in Europe), then you get a problem. Getting everyone to talk and agree on a calendar is a momentous task. Good luck FIFA. it should have been the other way around; that is ,clubs should be setting their fixture base on FIFA's calender . Coutries are united when their best footballers are playing , and this also give the footballers great pride. The players are not machines,they need time to recuperate,and concentrate on family too..Some players will burn out quicker. Definitely the best idea. This will also make the qualifying round much more exciting. We have every summer a tournament! For example, a qualifying tournament for the World Cup in 2013 summer, the World Cup finals in 2014, qualifying tournament for Euro in 2015, Euro finals in 2016. This really would bring back the excitement for the qualifying round, as Pedro said won't break the club calander, really everyone wins. in response to naija's comment.admittedly,players are no machines, but pinto's ideas do not deprive them of time for their families and to recover fitness.although a little time is taken off their rest period but remember that an average player retires at 40 which means they would have a whole lot of time to enjoy with their families. pinto's ideas should be given a considration. Who cares? Seriously? Really? Here in the U.S. we play "football" with a proper oblate spheroid for a ball and it is full contact. When soccer is full contact, only then will it be interesting. Country first then the rest ? Or is it Club first then the rest ? The issue is becoming difficult each passing day. Players earn their bread and butter at the clubs. There is sort of job security at the club level. Countries are bound to face hurdles from players, their paying masters and even the fans. Senhor Pedro has highlighted a serious problem confronting the Beautiful Game. Nice and thought provoking stuff from the prolific football writer from Portugal.